SANTIAGO, Aug 31 2017 (IPS) - Experts in Latin America warned about the serious risk that would be posed if the fight against hunger, still suffered by 33 million people in the region, is abandoned, while proposing new alternatives and insights which include linking social protection with economic growth. 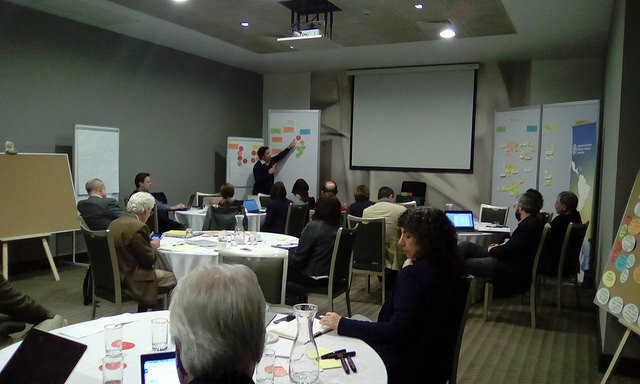 More than 25 high-level experts met in Santiago, Chile on Aug. 28-29 in a workshop to launch the Alliance to End Rural Poverty, sponsored by the United Nations’ Food and Agriculture Organisation (FAO) and the International Fund for Agricultural Development (IFAD). After debating “concrete and feasible proposals” to address the problem, they announced that they would take their initiatives in the next few weeks to the governments of Latin America and the Caribbean, a region with a population of over 640 million. 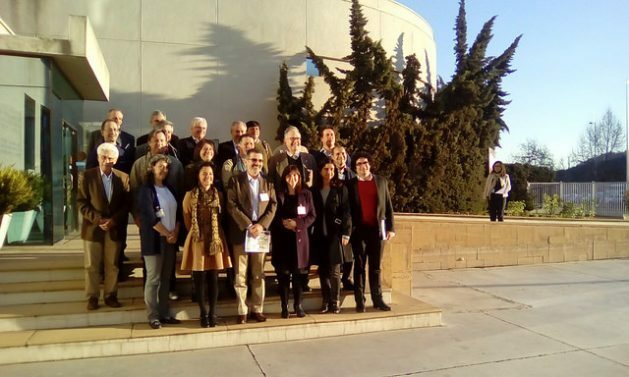 “The Alliance is a group that began to generate knowledge and proposals and to interact with the countries in the region to once again sink our teeth into the challenge of reducing rural poverty,” said Carolina Trivelli, a former Peruvian minister of social development and Inclusion who heads the Peruvian Studies Institute. “We need a very strong narrative to put the eradication of rural poverty on the agenda of the countries and the region. For many, it is currently a not very attractive challenge because it goes unnoticed and the rural poor are out there in remote areas,” the expert told IPS. Besides, “the rural poor have declined in number so it’s as if there was no longer a need to worry about them. But the opposite is true. We do need to worry because rural poverty has consequences not only for the lives of the poor but also for the national economies, for inequality and for the possibility of creating more integrated countries,” she added. “We need policies to address different kinds of rural poor, in different territories, but they have to be smart policies that allow us to reinforce what already exists,” she said. Alain de Janvry, a professor from the Department of Agricultural & Resource Economics at the University of California-Berkeley, cited an example to illustrate. “We have carried out a study on a monetary transference made in Mexico, after NAFTA (North American Free Trade Agreement) and in compensation for the low prices of maize due to competition from maize imported from the United States,” the academic told IPS. “A cash transfer was made to all producers of maize and basic grains. These transfers were specifically to farmers – to the male head of the household. The funds were multiplied by two: for every peso received they used it to generate another peso. The second peso was generated by how they used the first peso in a productive investment,” he said. “Economic efficiency and productivity,” said the expert, stressing the initiative’s intergenerational impact. “Educating children and giving them better health coverage makes it possible to keep them from falling into poverty because they have poor parents who have not educated them or given them proper healthcare. The idea is to give them the possibility to pull out of poverty thanks to education and improved health,” he said. “There are a series of new spaces for policies that are aimed at different purposes, such as social protection or climate change mitigation, but that at the same time can generate pathways out of poverty for the extreme poor,” he said. “Extractive industries, for example, that operate in rural areas, and we have to get these institutions involved, different ministries, public entities, levels of government, private companies and organisations of farmers and rural dwellers themselves to reach agreements,” she said. But the plans of the emerging Alliance are facing key constraints, such as the backdrop of a difficult decade for the region in terms of economic peformance, as projected by the Economic Commission for Latin America and the Caribbean (ECLAC). “The macro-fiscal context in the region is not the most positive. Clearly the battle for public resources is increasingly fierce, and therefore the narrative is very important,” Trivelli acknowledged. “We cannot evade the link between poverty and inequality,” he said, pointing out the people hit hardest by extreme poverty are indigenous women in remote areas. Through the Community of Latin American and Caribbean States (CELAC)’s Plan for Food Security, Nutrition and Hunger Eradication, the region was the first in the developing South to commit to eradicating hunger by 2025, as part of the Sustainable Development Goals (SDG) which have set that goal for 2030 at a global level. “We are thinking of focusing on some key ideas where there is already evidence of the possibility of public policies achieving benefits, and also focusing on certain countries,” she said.